A seasoned IAS officer who is close to the current government, will Das find an independent voice as the new central bank boss? New Delhi: When the new Re 1 banknote was issued by the Ministry of Finance in May 2017, the joke that made its way through North Block was that senior bureaucrat Shaktikanta Das, who had already missed out on the job once, would eventually become the next governor of the Reserve Bank of India (RBI). This was because the Re 1 notes carried his signature – traditionally, it is the RBI chief who is a signatory to any new currency note that is printed. Because of the Re 1 note’s unique history – it is printed by the finance ministry and not the central bank – all those notes now bear the signature of either Rajiv Mehrishi, who was finance secretary in early 2015 when they were printed, or Das, who was economic affairs secretary in early 2017 when they were finally issued. A year later, the soft-spoken Das, who became the public face of demonetisation after Prime Minister Narendra Modi announced the note-ban in November 2016, now finds himself on Mint Street. The appointment of the 61-year-old bureaucrat, who is considered very close to finance minister Arun Jaitley, comes under less than-auspicious circumstances. A three-month-long public stand-off between the Modi government and the RBI, which has severely dented the relationship between both parties, saw Urjit Patel head for the exit this week. Patel’s sudden and surprising resignation makes him the first RBI governor in over 40 years to quit before the end of his tenure. Shaktikanta Das will now have to pick up the reins and take control of a position that has changed slowly but surely in the last twenty years. As one commentator put it, India’s central bankers used to be known for their reticence and ability to resolve conflicts quietly. They are now better known for their public image and their willingness to publicly draw a line in the sand. Indeed, Das’s appointment brings us back to the era of IAS officers as central bank governors. Also read: What Does Urjit Patel’s Resignation Mean for the Future of Modi’s RBI? And make no mistake, Das is the quintessential bureaucrat’s bureaucrat, according to multiple people who knew him in the finance ministry. His ability to be handed a tricky situation and the outlines of what would be an acceptable outcome, and then finding a way of making it happen is what he excels at. During the days of demonetisation – when Das became a prominent face in government press conferences, defending the decision and explaining the myriad changes and confusions – he was asked about the silence of Urjit Patel. An Odisha native, he graduated with a master’s degree in history from St Stephen’s College before joining the IAS as a Tamil Nadu cadre officer in 1980. As most newly-minted IAS officers do, Das was handed the keys to two Tamil Nadu districts, Dindigul and Kancheepuram, and served there as district magistrate. He then moved onto holding crucial crucial administrative positions within the state government, including Principal Secretary (Industries), Special Commissioner (Revenue), Secretary (Revenue) and Secretary (Commercial Taxes). His most commonly cited achievements from including implementing the state’s successful special economic zone (SEZ) policy and allowing Tamil Nadu to catch up with Karnataka in terms of the technology boom by quickly allotting government land to private IT companies. Das’s time there though netted him more than just a fluency in Tamil. In particular, his tenure as industrial secretary has sparked a number of unproven accusations by BJP leader Subramanian Swamy. In July 2016, a website called Pgurus alleged that during Das’s time, there was impropriety in the cheap allotment of 100 acres of government land to an American company called Sanmina SCI corporation. In the past, several politicians have claimed that Pgurus is associated with right-wing chartered accountant S Gurumurthy, who now serves on the RBI board and will be part of central bank board meetings along with Das. There has been no credibility to these allegations though, with Swamy’s attacks prompting swift denials by Jaitley personally and the ministry’s Twitter handle. While Das is well known for his closeness to the current regime, his first stint with the Centre came in 2008, during the UPA-II’s time, when he was appointed joint-secretary (expenditure) before being shifted into the chemicals and fertilisers ministry. It was after the NDA-II government came into power in 2014 though, that he was brought back to North Block, with his appointment as revenue secretary being one of the first few major changes the Modi regime made in the finance ministry. He quickly made himself indispensable, going onto become a part of a small group of bureaucrats who were in the loop on demonetisation and responsible for steering its implementation in the weeks and months after it was announced. 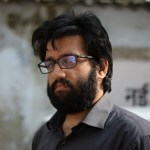 Das’s closeness to the regime, and his reputation within the government as a competent troubleshooter, means that his name often comes up when the Modi government needs a crucial position filled. When Raghuram Rajan ended his tenure as RBI governor in 2016, he was considered as a replacement. A year later, when the top post at capital market regulator SEBI fell vacant, Das was in the running before the Centre eventually decided on Ajay Tyagi. Consider the manner in which he was appointed as RBI governor. One option that was initially floated in India financial policy circles was that after Patel’s exit, the Modi government could appoint an interim replacement so that a search panel could take some time to thoughtfully find an appropriate permanent option. 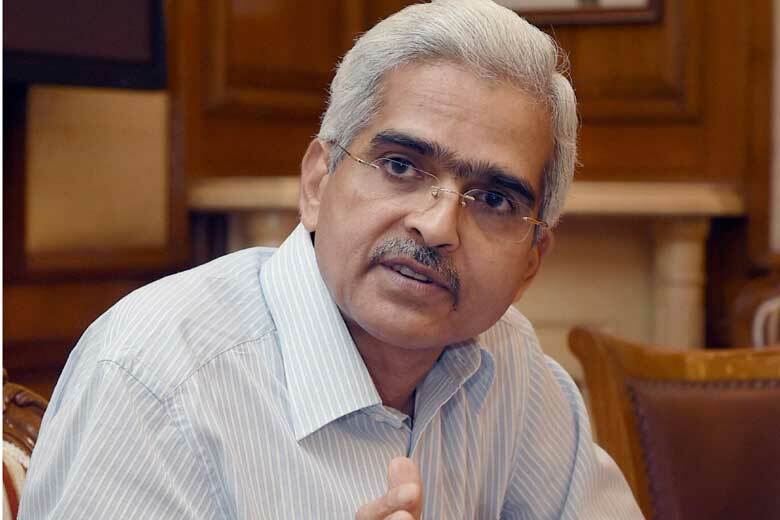 However, by most accounts, the Financial Sector Regulatory Appointment Search Committee had only a few hours on Monday evening and Tuesday morning to hastily decide between three viable candidates: Shaktikanta Das, economic affairs secretary Subhash Garg and SEBI boss Ajay Tyagi. It’s unclear what this says more about: the Modi government’s inability to trust and work with talented outside candidates or the importance it places on more practical options such as loyal hard-working bureaucrats. Even after his retirement in 2017, Jaitley has been loathe to put Das out to pasture. He was until Tuesday a member of the 15th finance commission – a panel that has sparked controversial debate over how resources are allocated between South and North Indian states – and also India’s emissary to the G20. A recent Business Standard report describes his work at the G-20 and how he still manages to skilfully get the job done. Modi wanted a paragraph on fugitive economic offenders to be included in the G-20’s communique, to help crack down on the flight of future criminals like Vijay Mallya or Nirav Modi, and it took some effort. “It required a lot of work from our side to get it (the paragraph) in. The European Union had a different position on this issue and we had to explain how despite its seemingly trivial nature, it could undermine the global financial architecture,” the publication quotes him as saying. What does he believe in? The new RBI governor has in the past had no qualms about expressing his confidence in the type of reforms the Modi government has tried to put in and the consequences it may have had on growth. “The growth slowdown is short term because of the huge range of structural changes brought about in the economy, in a very short time frame,” he has said. Das has been equally vocal on other issues more close to this government’s nationalist heart. When Amazon found itself in a controversy for selling various products labelled with image of an Indian flag, he put out a series of tweets that made a veiled threat the online e-commerce giant. “Amazon better behave. Desist from being flippant about Indian symbols & icons. Indifference will be at your own peril,” he tweeted at the time. But beyond this, it’s less what Das believes in and what he is likely to bring to the position of RBI governor. As economic affairs secretary, he was a stickler for fiscal consolidation, and even reportedly pushed Jaitley to stay on that path when the government may have wanted to waver. India’s macro economic numbers are its biggest insurance against global uncertainties. These numbers need to be further strengthened. Deficit and debt targets should continue to be main focus. Strong commitment to fiscal deficit target will have positive impact on bond yields,inflation and currency value. Need further measures for boosting exports,liberalisation of FDI,adjustment or refund of GST credit accumulation,etc. But on current hot-button issues between the Centre and the RBI, it’s unclear what side he will take or what he believes in. He has advocated for higher dividends from the central bank in the past, but does that mean he would support a government raid on the RBI’s contingency reserves? He has also pointed out in the past that banks cannot offer the excuse of bad loans to “shut off lending”, but does that mean he will immediately relax lending restrictions on weak state-run lenders? This is what will decide the failure or success of his tenure. In the past, IAS officers and bureaucrats seen as close to the Centre have been shifted to Mint Street, but have chosen to shift allegiance and find an independent voice. Will Shaktikanta Das do the same?